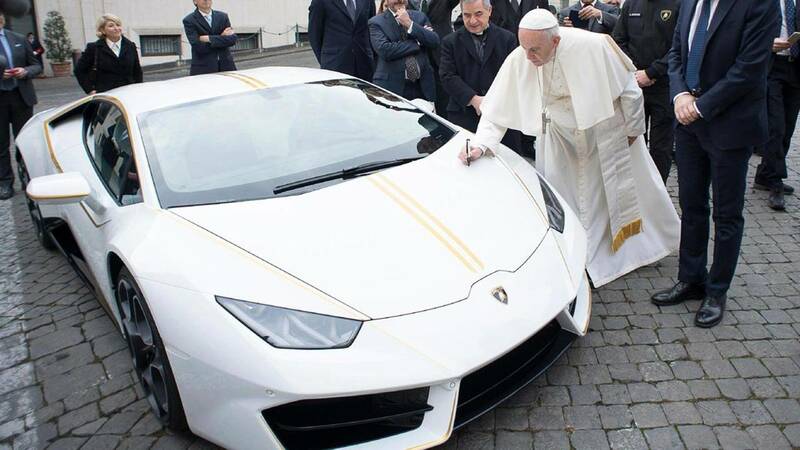 Remember the heavenly Lamborghini Huracan that was blessed and signed by Pope Francis? After being sold at an auction for $861,575, it’s up for grabs right now in a one-of-a-kind lottery that doubles as a charitable event. We’re not sure why the owner gave up the one-off Lambo but since it’s for a good cause, we won’t dare question why. Available now at Omaze, you can enter the lottery for as low as $10. If you’ve been praying a lot to get your hands on your very own Huracan, now might be the time to pray harder. With a little bit of luck and effort, of course. There are many ways to enter the lottery and it all depends on how much your willing to spend in order to increase your chances. The baseline $10 would give you 100 entries, while the highest you could donate is $5,000, which would give you 50,000 entries. 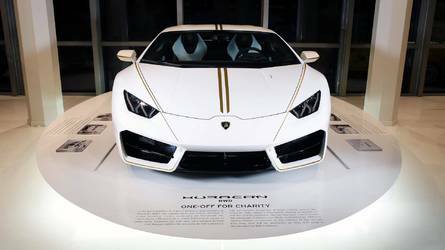 Needless to say, the more money you donate, the more chances you have in driving home the white and gold Huracan. A wild supercar that has been blessed and signed by Pope Francis is off to do some charity work – now we’re talking. If you’re lucky enough to win in 52 days (as of this writing), you’ll be getting a Pope-approved rear-wheel-drive Huracan that produces 573 horsepower and 398 pound-feet of torque. It can go from standstill to 62 miles per hour (100 kilometers per hour) in just 3.4 seconds with a top speed of 198 mph.